Don Lockwood (Gene Kelley), Cosmo Brown (Donald O’Connor), and Kathy Selden (Debbie Reynolds) are despondent. The movie Don has just starred in is terrible. Suddenly, an idea dawns on them: Make it a musical! And have Kathy dub her voice over the other star, Lina, who can’t sing for beans! Wow! That terrible movie has become a major hit, thanks to those actors doing behind the scenes thinking and development. What happens? Well, Don and Kathy get married and star in movies together and Cosmo becomes the music director for the studio. The “lab agreement” is an arrangement between Equity and a group of producers known as the Broadway League to pay actors and stage managers as they work to develop a play—or, more often, a musical—before it ever sees the bright lights of Broadway. Many shows over the years have been developed this way, including recent hits Frozen and To Kill A Mockingbird. The lab is a forum in which plays and musicals can be developed outside of the harsh gaze of paying audiences and critical reviewers. Actors and stage managers work with directors and writers to conduct readings, staged readings, and workshops, refining the shows until they’re ready. It is also a forum to invite potential investors and gain their support. Given that it can cost up to $1 million a week to run a show on Broadway and $10–$25 million to prepare it, investors are really important. So, obviously, the pre-production work in a lab can be critical. 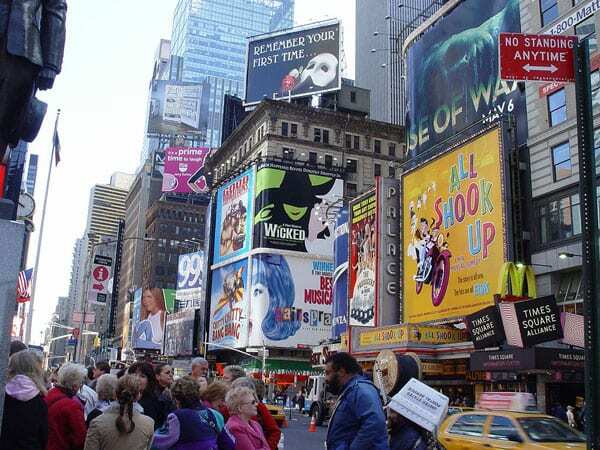 Broadway is in the midst of a boom as tourists flock to popular shows. One report suggests that in the early going of the 2018–19 season, ticket sales had increased by more than 60 percent over the same period the previous season. Equity estimates that the lab agreement has been used 75 times since 2016, and that more than half of those shows have gone on to some further development. Equity is arguing that the lab agreement has not been revised in 16 years, meaning the actors and stage managers have not seen a pay raise in all that time. Currently, actors are paid $1,000 per week and stage managers slightly more, but they do not receive any of the profits if the show is a major hit. Equity’s argument is only partly about the money. They acknowledge that a lot of shows are not going to make it on Broadway, and so no profit sharing is available. On the other hand, they want it acknowledged that the actors have had a significant involvement and have made contributions to the final product through their work in the lab. They improvise lines that the writer incorporates into the script, or dance steps the choreographer includes. Why shouldn’t they see some benefit from these contributions when the show makes it? It is unclear at this point how long the strike will last. To be clear, the strike is only against a list of lab productions and producers included in the lab agreement. The “do not work” does not affect any show currently on Broadway. Shows in development include adaptations of movies like Tootsie, Almost Famous, and Moulin Rouge. Producers whose lab work is now off limits include DreamWorks and the Shubert Organization. The Broadway League has said that it wants to get a deal done and is willing to continue good faith negotiations. Given the current boom and the importance of these lab productions, it’s possible that the strike won’t last long. Although this issue’s impact may seem restricted to the performing arts, the separation of who generates ideas and who profits from them is hardly unique to Broadway. Nonprofit practitioners can spend hours or days in collaboration with foundations or major organizations developing new ideas. When, in the end, the ideas come to life, the foundation gives the nonprofit the funds to implement it and everyone gets to bask in the glow of a successful new effort—except, of course, those who donated their ideas, who often end up without getting recognition, future work, or any of the money invested. And, of course, there is the broader challenge of cultural appropriation, in which whites typically profit by, as the phrase suggests, appropriating aspects of culture from communities of color, such as in fashion or product names and advertising. This article has been altered from its initial form at the request of the author.